Hello to YOU, yes You with your smiling face, artful member of the creative tribe, set to dance with butterflies, play in patterns, and maybe even write a letter! 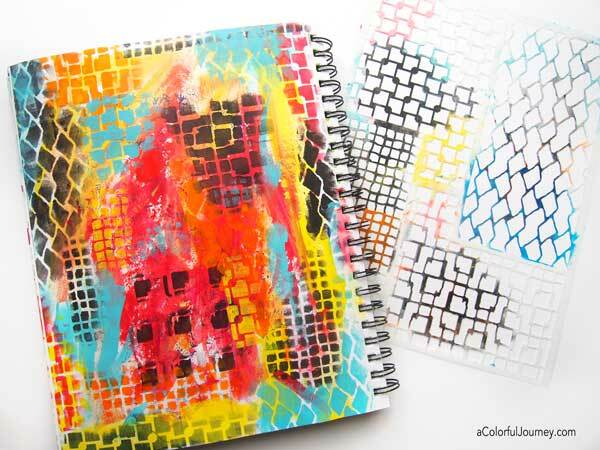 I have ideas tumbling in my head for using these large stencils just as I predict you will in moments! A butterfly is an iconic image in art, literature and life. 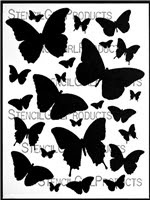 When I first saw Carolyn's art for her Butterfly Journeys stencil I thought of Barbara Kingsolver's novel "Flight Behavior". 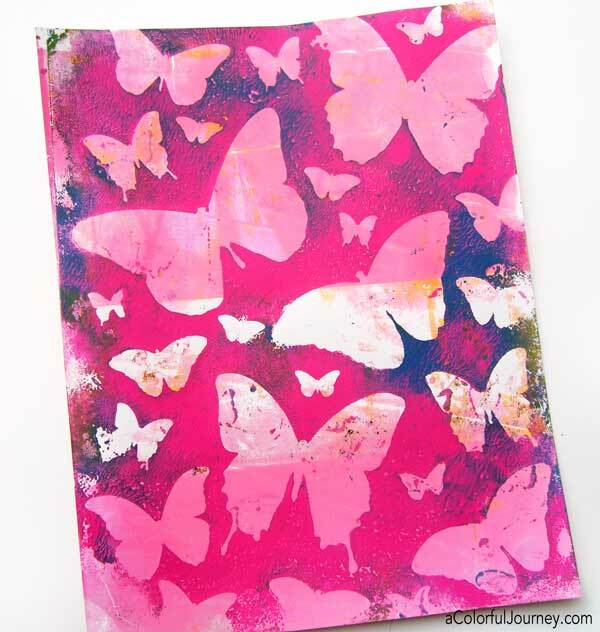 What do butterflies represent in your art? 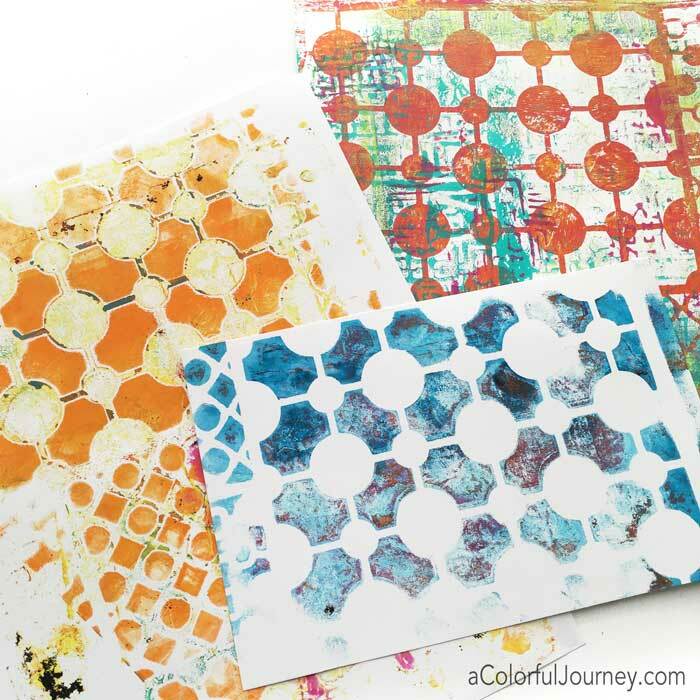 Circular Patterns for Play and Rectangular Patterns for Play each have so much potential for absolute fun! 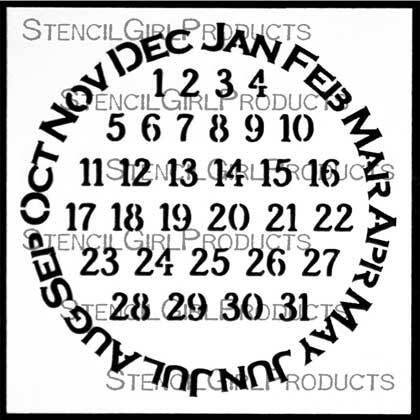 Watch for the February Scoop newsletter in email's in box to see even more pictures of Carolyn's art with these 5 stencils and discover more about what inspired her. Rush! Hurry! Open Immediately! 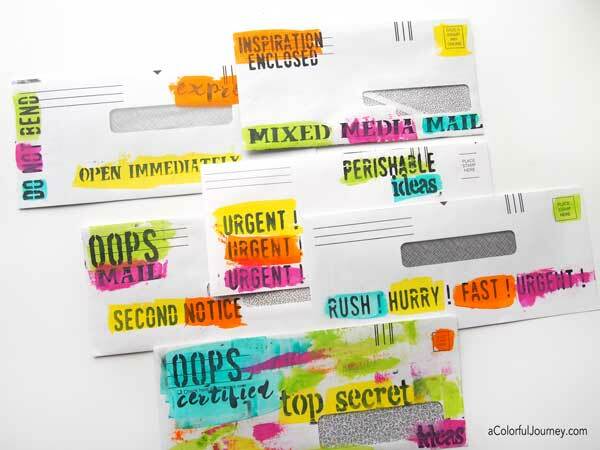 Are you ready to write a letter to a friend and decorate the envelope using this Mixed Media Mail stencil? Carolyn shares a Mixed Media Mail tutorial on her a colorful journey blog! 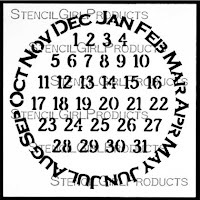 Also, if you haven't checked out Carolyn's Never Ending Calendar stencil, there is not time like present. 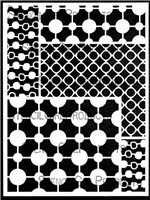 It is available as a 4x4 or 6x6 stencil. 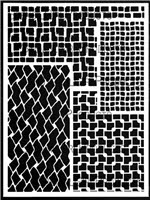 Wow What great new stencils! 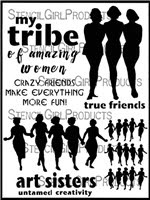 I have to admit, Carolyn's Tribe stencil is my Fav!! What a great group of stencils. Love the tribe stencil. Also mixed media mail. 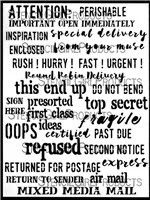 It reminds me of a journal page I did using those frantic words printed all over junk mail. It was me letting off steam after going through my deceased Mother's mail. I may need to get this stencil to add more layers for my venting.